Approximately 100 million Americans suffer from chronic pain-and many of them use prescribed painkillers to treat it, a dangerous course that may lead to dependency, addiction, and, paradoxically, increased pain. Opioid overdoses kill more people than car accidents and cocaine and heroin addictions combined. The innovative program at the acclaimed Las Vegas Recovery Center, where Dr. Mel Pohl serves as medical director, has helped thousands of chronic pain sufferers learn to thrive and reduce their pain's intensity without painkillers. Now, for the first time, The Pain Antidote shares this concrete program, which combines up-to-date research with state-of-the-art treatments and non-narcotic medications. 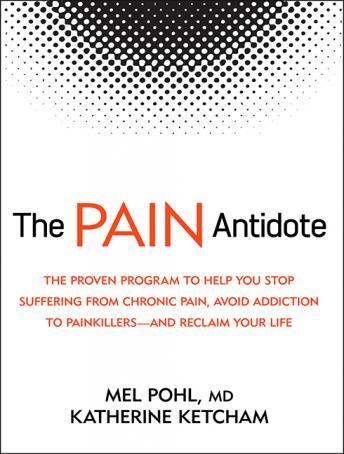 The Pain Antidote offers tools and strategies-including a four-week jump start plan-to help anyone with chronic pain ease their suffering, restore their happiness, and live a rich, full life.